Just a quick update. 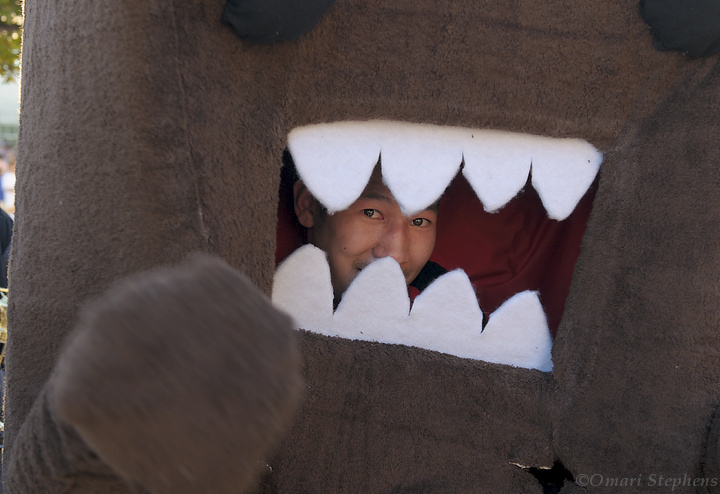 I shot the Googleween party yesterday afternoon (Friday) and got this cool shot of someone in a Domo-kun costume. 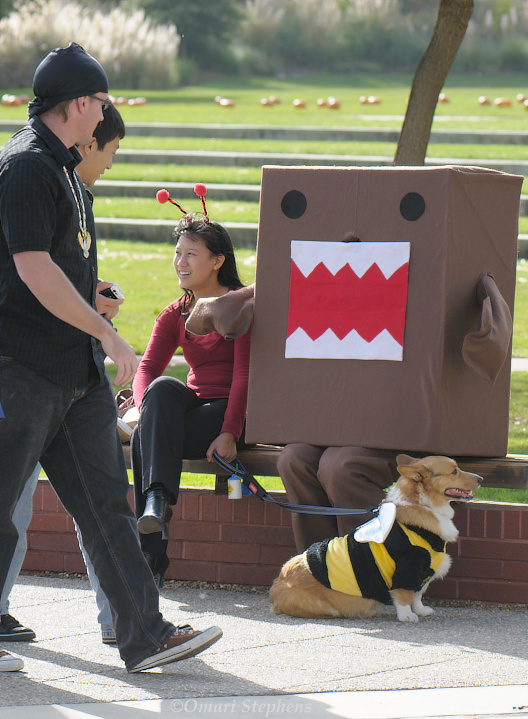 I really like how this guy is an integral part of the appearance of the costume (for instance, compare to this domo-kun from last year's Googleween). This was one of my favorite costumes; they fit the song perfectly. 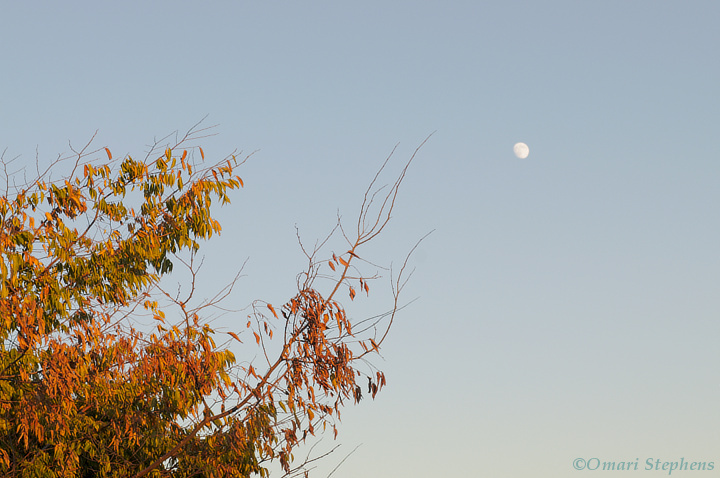 Finally, when I was about to head home, I noticed that the sun was low enough to make a pretty even exposure between ambient and the moon. The question in my mind was "if this were going to be a wallpaper, what would it look like?" I think the answer came out pretty well. 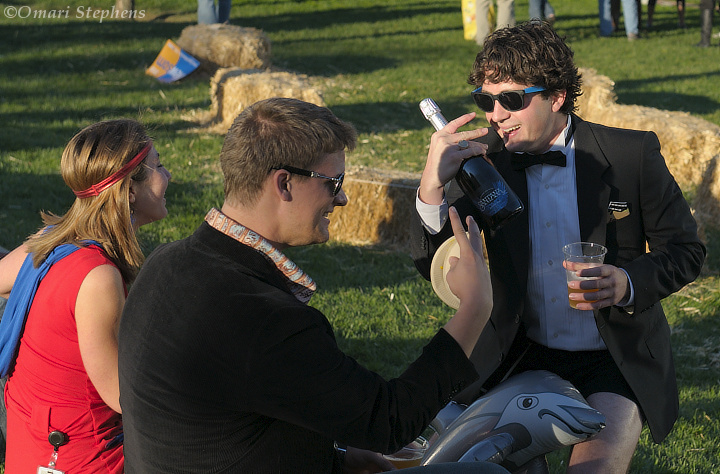 Anyway, 'tis all for now; more to come soon. Happy Halloween!